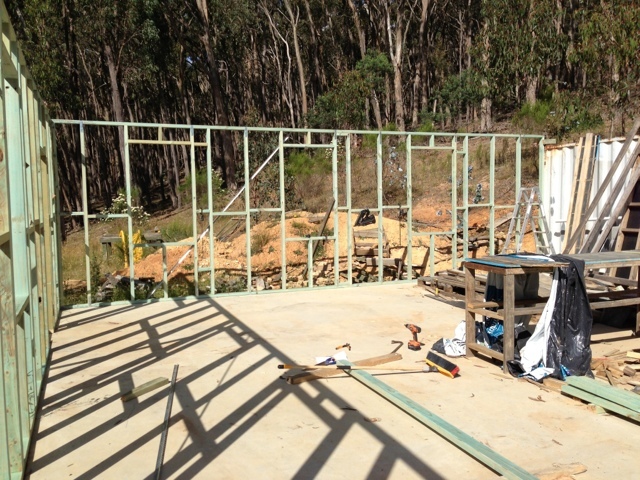 Today was the last of the wall framing in the garage - three sections in total. 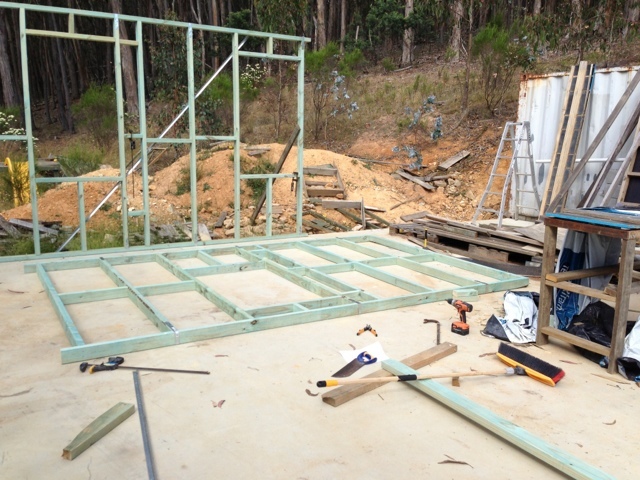 The first was supposed to be relatively straightforward, but after cutting the timber to length and laying it out on the slab, I realised that I'd made a small error with the layout of the studs surrounding the doorway. 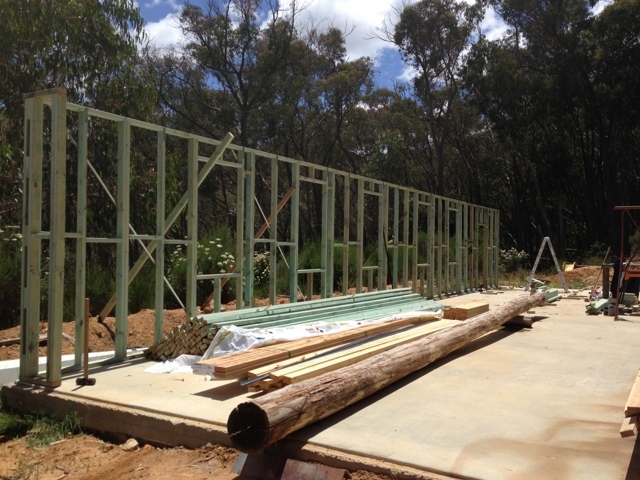 Over this length of wall, I'm able to use a single top plate as all the trusses land directly over a double stud at 1200mm centres. In order to achieve this spacing I'd moved one window in the model from its position on the plans, but it turned out that I'd neglected to move the doorway as well. 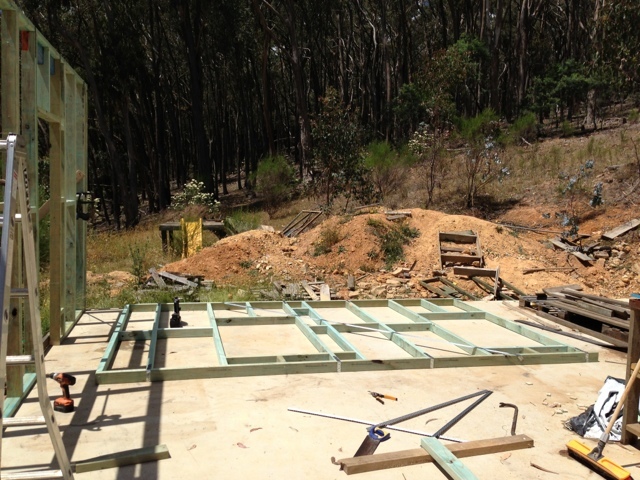 A a result, one truss lands above the doorway itself, which meant I'd have to install a lintel over the door to distribute the load to the double studs each side. 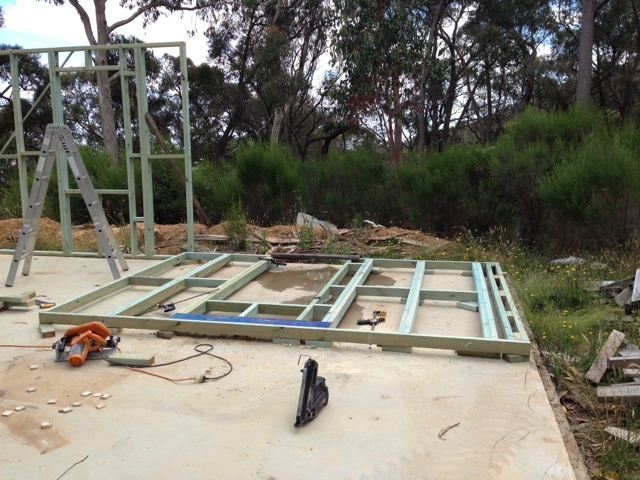 So instead of taking an hour or two to get this frame section up, it took all morning. And I still have two to get done today, before the road trip tomorrow. So that's it for framing for a while. 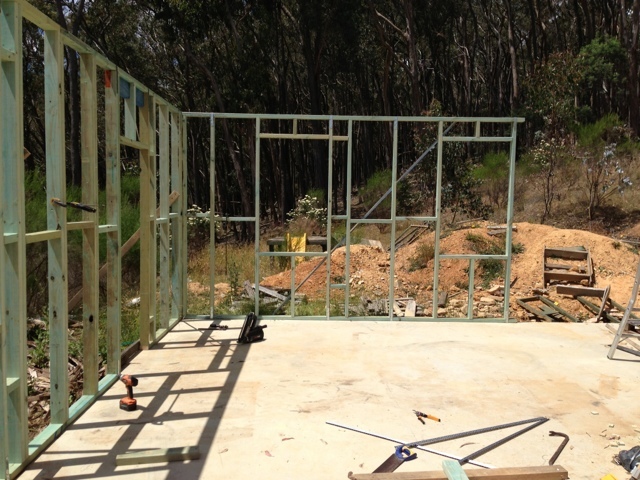 I'm certainly going to miss the rapid progress... but wait! We've got a garage!!! 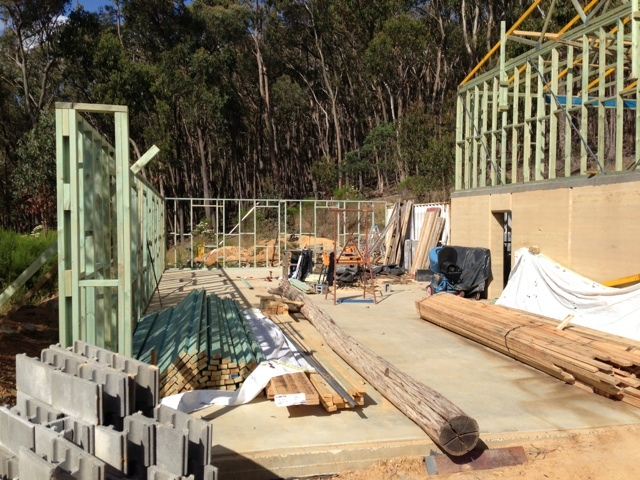 So tomorrow will be a day of running around to get materials ready for the next phase - roofing!